A former judge who dedicated his retirement to blogging about legal affairs and challenging the government’s measly legal aid budget has sadly died, aged 81. Sir Henry Brooke was a well-respected lawyer who was appointed to the judiciary from his barrister practice at Fountain Court Chambers. He served as a High Court judge from 1988 before being promoted to the appeal court in 1996. Before retiring from the judiciary in 2006, Brooke sat on a conjoined twins case which will likely be instantly recognisable to LLB students studying criminal law, family law or medical law modules. The case — full name Re A (Children) (Conjoined Twins: Surgical Separation) — sits alongside fellow law school favourites Donoghue v Stevenson, Carlill v Carbolic Smoke Ball and High Trees as one of the Incorporated Council of Law Reporting’s top cases of the past 150 years. On his blog, which Brooke began during his retirement, the ex-Court of Appeal judge candidly revealed that he struggled to grapple with the complex legal issues unearthed by the case, and that the hearing coincided with a difficult period of his personal life — his mother’s funeral. Aside from reflecting on his distinguished career, Brooke spent his later years working to reverse the government’s swingeing cuts to legal aid (this despite his brother and parents being Conservative Party politicians). Brooke sat on the Bach Commission, headed by Labour peer Lord Bach, which lambasted the cuts for leaving “huge numbers of people” unable to afford private legal advice but also ineligible for legal aid. The commission recommended the codification of the right to justice into statute, and the inception of a Justice Commission to keep tabs on the protection of this legal right. My tweets will be stilled for a while: cardiac valve surgery on 29 Jan. A "Like" will be interpreted as goodwill, or as an imaginary candle. Social media has been set alight this afternoon by tributes to Brooke. I’m immensely sorry, his judgments and blog must live on. My condolences. 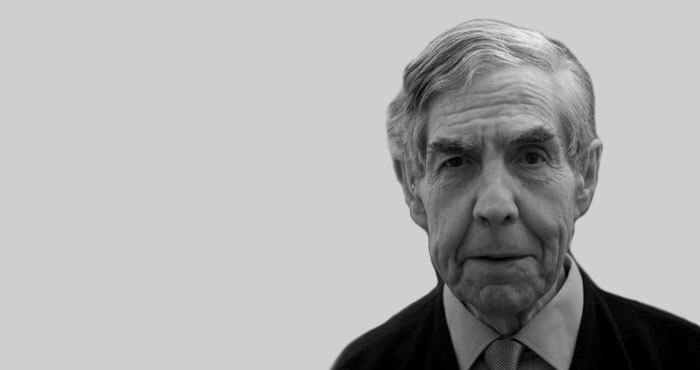 Among his many achievements, Sir Henry Brooke was a key figure in establishing @BAILII, a resource which is now indispensable for lawyers and legal journalists alike. His blog, which he built up in retirement, is an outstanding resource: https://sirhenrybrooke.me/ – and it should be bookmarked and shared widely. Let’s hope the site stays up for the benefit of future generations of lawyers, trainees and law students. He took to social media so deftly, and used it wonderfully to explain the substantive law, how it worked in practice, and why reform and policy change was needed. As a legal blogger and tweeter he was without equal, and we are so lucky to have had him. Such a sad and dreadful loss. He very much wanted his blog to be his legacy. He worked so hard to put his papers in order and make them a gift. Yours is the most close comment that I read in this piece to what he was about. His loss, as you say, is truly dreadful. His contribution and insight with span generations. His campaigning for those suffering at the hands of the PIP system gives the measure of the man. How admirable to retire at the top and use that as a platform to take up the cudgels of the most vulnerable in society. His blog posts on his memories of Denning are truly gripping. At his passing we are reminded that the conjoined twin (dob 2000) in 2014 wished to become a doctor. I calculate from the BBC report of the time that she was born in August 2000 which would make her a young pupil in the school year that took the A levels last summer. I wonder how she got on. The salient facts were that the weaker twin had about 3 months to live. Had she been allowed to live, the stronger one would have died shortly after her. But they could easily be separated and the stronger one would live a normal life if they were separated. 12 barristers had appeared by the end of the hearing, 5 of those qcs. Intentional killing, Unlawful killing, self defence by doctor, the doctrine of double effect were all considered. As was the idea that the hospital was entitled to agree to the parents wishes to let their twins live as God intended, if it had wanted to. No wonder Brooke was confused. If being a court of appeal judge gets you to heaven, even though the wishes of an archbishop were not met in the twins case, there could be a comedy moment where Jesus and Brooke both exclaim “hello my Lord” at the same time ! The Court of Appeal’s judgment is much longer, as you might expect from the nature of this difficult case. The full decision is available from BAILII, another thing for which we can only thank Sir Henry Brooke. David Allen Green puts it well. Sir Henry will be sorely missed. I’ve not felt ready to read all of the reaction to Dad’s death in the legal world yet, but I have just read this and it’s lovely. Thank you, Katie. Much appreciated. As a young lawyer I have come to the law too late to see Sir Henry at work. But I have studied and applied his judgments with admiration and got enormous pleasure from reading his blog. A brilliant and good man leaving a very great legacy in the law. I appeared as a barrister in front of him on many occasions and always found him polite, cheerful and with an understanding of how people’s lives can go wrong. He had a belief in the law being developed to achieve what he thought was the right thing and many of his decisions developed the law in a progressive and straightforward way. By no means can that be said of all who have been in the Court of Appeal. It is sad that he is no longer available either to his family or the law, but I am pleased for him that he has died a peaceful death after a fulfilled, active and successful life. Is he worthy of his law student legend crown?